The Advox Netizen Report offers an international snapshot of challenges, victories, and emerging trends in technology and human rights around the world. This report covers news and events from January 18-31. Amid mass public demonstrations and clashes between civilians and military forces in Venezuela, residents have been intermittently unable to access the internet and major social media platforms. 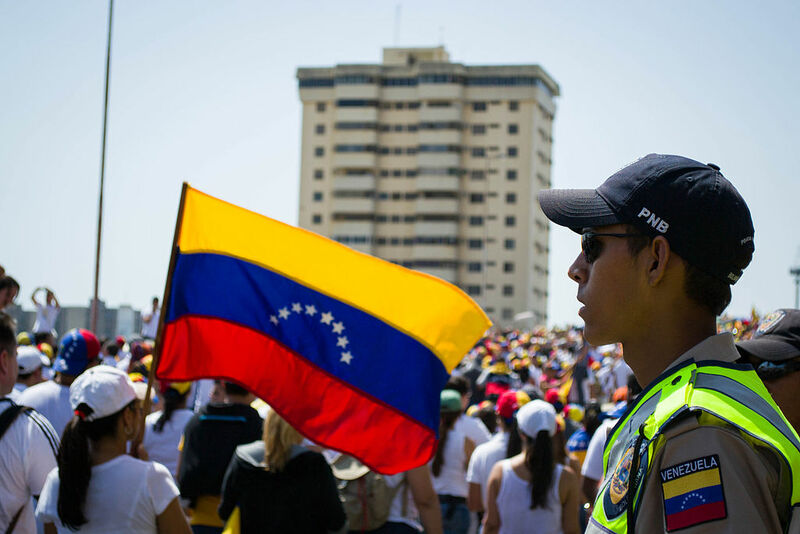 Public unrest has surged since January 23, when National Assembly president Juan Guaidó swore himself in as acting president of the Republic, charging that the incumbent government of Nicolas Maduro no longer has the legitimacy to stay in power. Guaidó invoked a constitutional statute that could (depending on interpretation) put him first in line to assume the Presidency of the Republic until free and fair elections could be held. As of this writing, Maduro has retained power with the support of the military, though many international leaders have expressed support for Guaidó. Maduro was sworn in for a second six-year term on January 10, 2019, following an internationally condemned snap election in which opposition parties were barred from running. In tandem with public demonstrations, major websites and services including Wikipedia, Instagram, YouTube and Twitter have been blocked intermittently on Venezuela’s dominant state-owned internet provider, CANTV, since January 12. At the same time, public officials and people on both sides of the conflict have been using internet platforms to establish and broadcast their positions. On January 12, Wikipedia was temporarily blocked after volunteer editors descended into an “editing war” in which some had moved to change Guaidó’s article and officially label him as the country’s president. Multiple military officers based outside the country have released videos on YouTube in which they condemn the Maduro government. While these messages are absent from Venezuelan television, they have made the rounds on regional networks. On Twitter, major international voices, ranging from Luis Almagro, Secretary General of the Organization of American States, to US Vice President Mike Pence, have posted endorsements of Guaidó. Venezuela has lived through so many calamities in the last few years, we always tend to fall into the trap of thinking it can’t get any worse. It can get much, much worse. A civil war would obviously invite international intervention, on both sides. A Caribbean Syria, layered on top of a pre-existing food crisis, could make 2018 look like the good-old-days in retrospect. The immediate future is enormously murky, and the uncertainty, understandably, drives everybody a little bit crazy. We all rebel against the simple, obvious truth: nobody knows what comes next. During the six-day internet blackout in Zimbabwe, which came along with a wave of public protests against fuel hikes, human rights lawyers scrambled to challenge the shutdown in court. The High Court ruled on January 21 that State Security Minister Owen Ncube’s decision to shut down the internet was unlawful. Judge Owen Tagu told the court that the minister had no authority to make the directive and ordered telecommunications firms “to unconditionally resume the provision of full and unrestricted services to all subscribers forthwith.” At the same time, media and internet rights groups in Africa and around the world issued a joint letter condemning the shutdown. Against all odds, journalists in Sudan are working to cover the widespread protests against President Omar al-Bashir, who many Sudanese are pushing to step down before elections in 2020. Alongside sporadic censorship of major social media platforms, security forces in Sudan are preventing independent media outlets from printing their newspapers by physically barring workers from entering print houses. The Committee to Protect Journalists reports that at least 800 people have been arrested in the protests, among them several journalists. A court in central Hubei province, China, found human rights advocate and website founder Liu Feiyue guilty of “inciting state subversion” on January 29. Liu was the founder and manager of Civil Rights and Livelihood Watch, a website that covered a range of civil and human rights issues, including protests, police abuses, and government corruption — sensitive topics that are scrubbed from most Chinese media sites. Meanwhile in Guangzhou, the prominent Chinese-born Australian writer Yang Hengjun went missing while visiting the country with family. Authorities have since confirmed that he has been arrested and charged with endangering national security. Prior to his work as a writer and blogger, Yang served in China’s foreign ministry. Reporters Without Borders has called for his release. This sets a dangerous precedent for the authorities to police individual freedoms, threatening not only their free expression but also their access to information, while undermining legal procedures and due processes. The group also noted that the move appears to have violated Article 125 of the recently implemented E-transactions and Data Protection Law, which requires court approval prior to imposing such forms of censorship. Turkmenistan’s sole internet service provider, which is owned and operated by the government, blocked the Google Play store on January 17, in what appears to be an attempt to limit Turkmen people’s ability to download VPN software. VPN applications are hugely popular in the small central Asian country, as Facebook, Twitter, YouTube, Instagram, WhatsApp, and Russian social media sites VKontakte and Odnoklassniki are all censored by the government. Following the block on Google Play, VPN providers reported a spike in searches for VPNs, increasing by as much as 577 percent. Some people attempting to use VPNs say that their internet service has been shut off altogether. The administration of newly-elected Brazilian president Jair Bolsonaro decreed a change in Brazil’s Law of Information Access, which enables individuals to access government documents through a request process. The change allows lower ranks of government officials to mark documents as secret and “ultrasecret”, meaning that they cannot be subject to such requests. Previously, only the president, vice-president, state ministers, Armed Forces commanders and heads of permanent diplomatic missions could apply this designation to documents. The new decree allows government officers with only temporary contracts to do the same. Facebook CEO Mark Zuckerberg is planning to merge messaging applications across Facebook’s three largest social platforms — WhatsApp, Instagram, and its flagship site. There’s no information yet on how the company plans to do this, but the architecture of this change and its effect on people’s privacy and safety could be enormous. Correction: The original version of this post stated that Juan Guaidó swore himself in on January 20. He did this on January 23, not January 20. Afef Abrougui, Ellery Roberts Biddle, Hong Kong Free Press, Oiwan Lam, Leila Nachawati, Filip Noubel, Georgia Popplewell, Elizabeth Rivera, Taisa Sganzerla, Nevin Thompson and Laura Vidal contributed to this report.